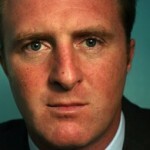 James Harding (BBC) will delvier the first W.T. Stead Lecture on the 13 January 2014. The W.T. Stead Lectures are a series of three lectures to be held at the British Library in 2014. Stead was a pioneering journalist who died on the Titanic just over a hundred years ago and it is in his spirit that we have invited our speakers to consider the role of the media today. The first lecture will be given by James Harding on Monday 13 January 2014, tickets are available from the British Library here. Subsequent lectures, by Emily Bell (ex-Guardian and now Director of the Tow Centre for Digital Journalism, Columbia University) and Professor Aled Jones (Chief Executive and Librarian of the National Library of Wales) will be given in April and November respectively, once the new news and media reading room has opened at the British Library. The lectures are funded from the proceeds of a conference, ‘W.T. 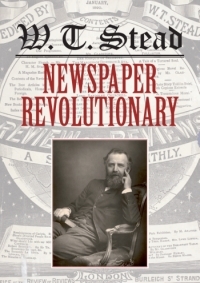 Stead: Centenary Conference for a Newspaper Revolutionary’ held at the British Library in April 2012. Stead’s campaigning zeal and wide range of interests meant that he played a part in (or at least had something to say about) most of the defining issues of the late nineteenth and early twentieth century: the conference, taking place on the centenary of his death on the Titanic was an opportunity to reconsider his legacy. It resulted in two publications: a book, W.T. Stead: Newspaper Revolutionary (British Library, 2012) and a special issue of 19: Interdisciplinary Studies in the Long Nineteenth Century. 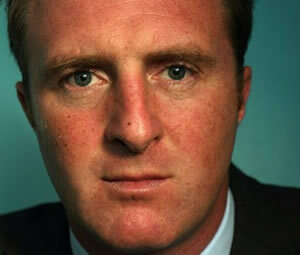 James Harding, 13 January 2014. For tickets and further details, click here. Aled Jones, 21 November 2014. For tickets and further details click here. I’ll add further details when they become available. For more about the new news and media services at the BL, have a look at their new blog, The Newsroom.